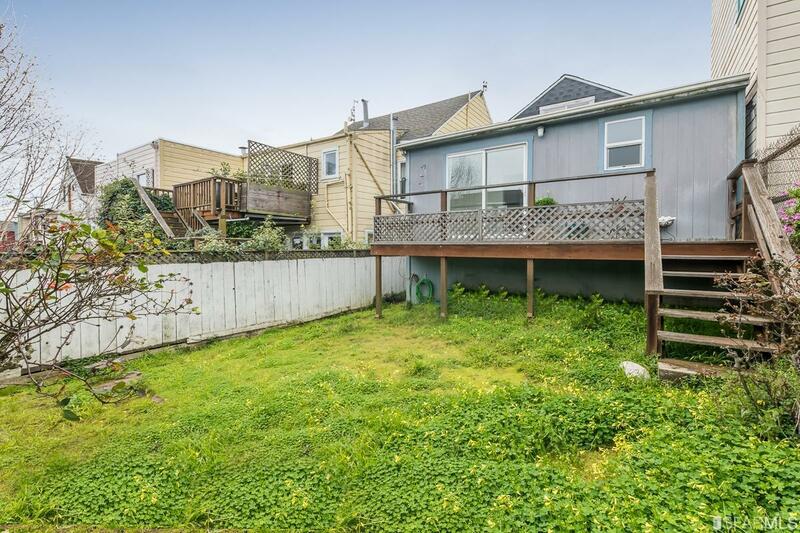 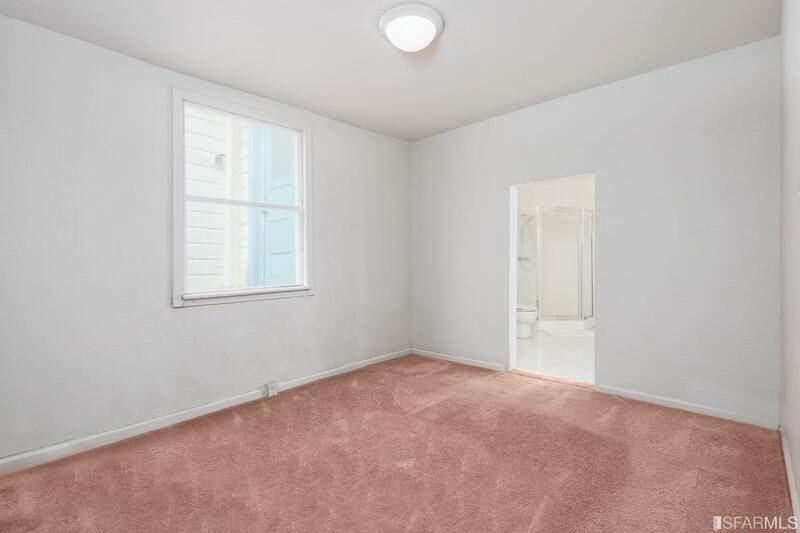 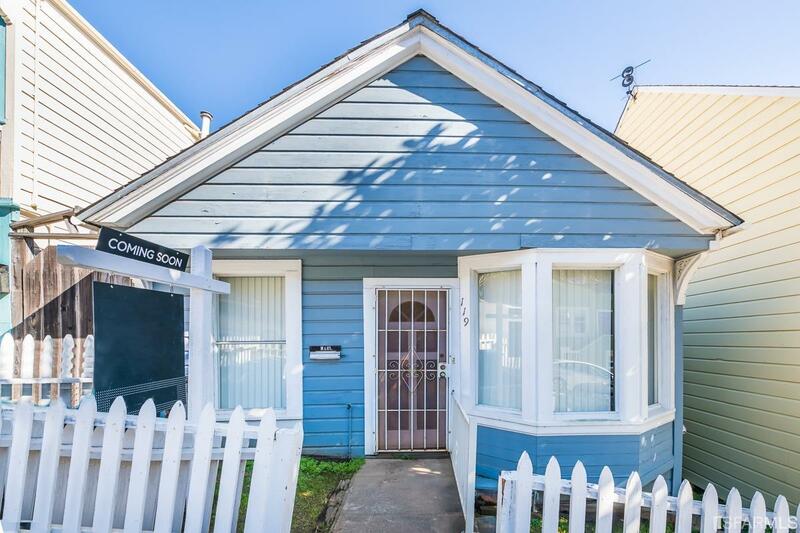 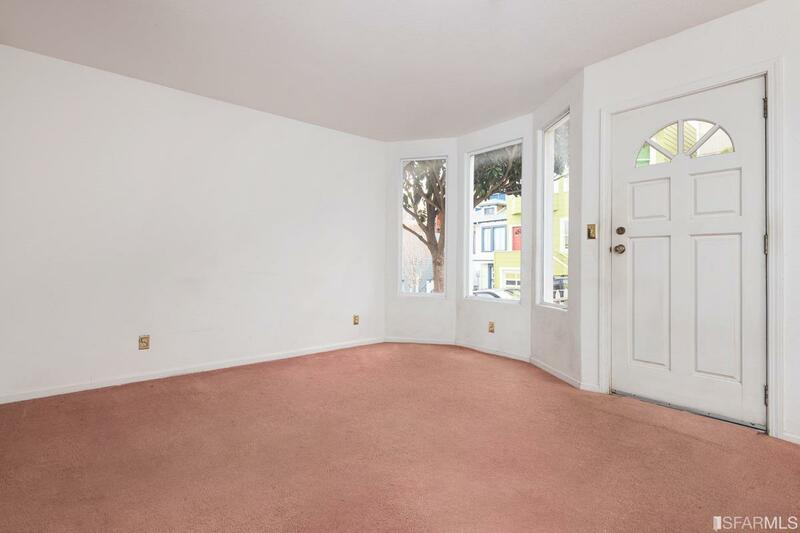 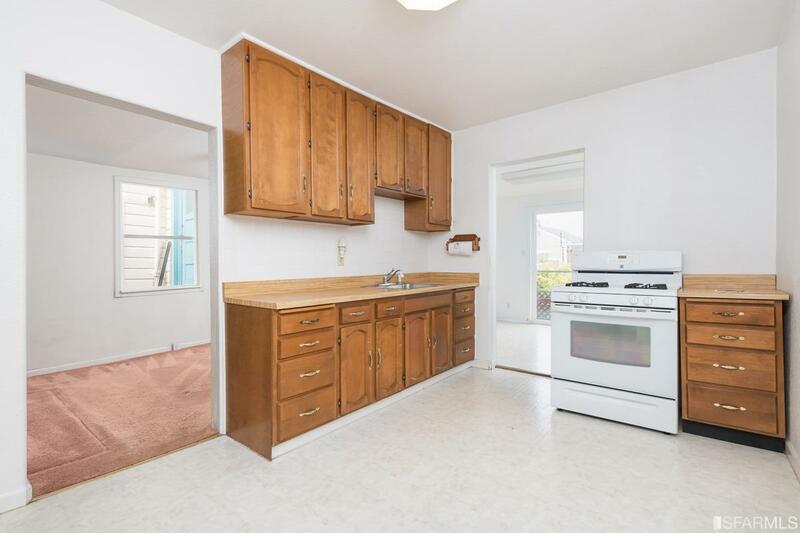 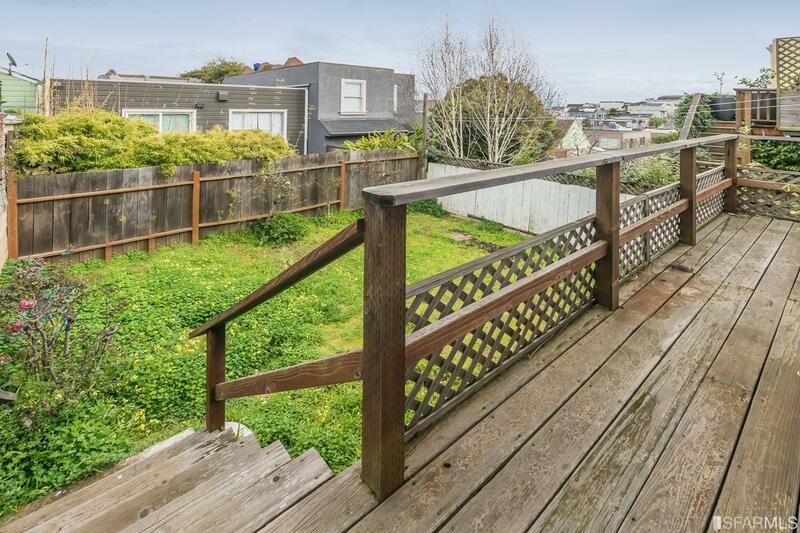 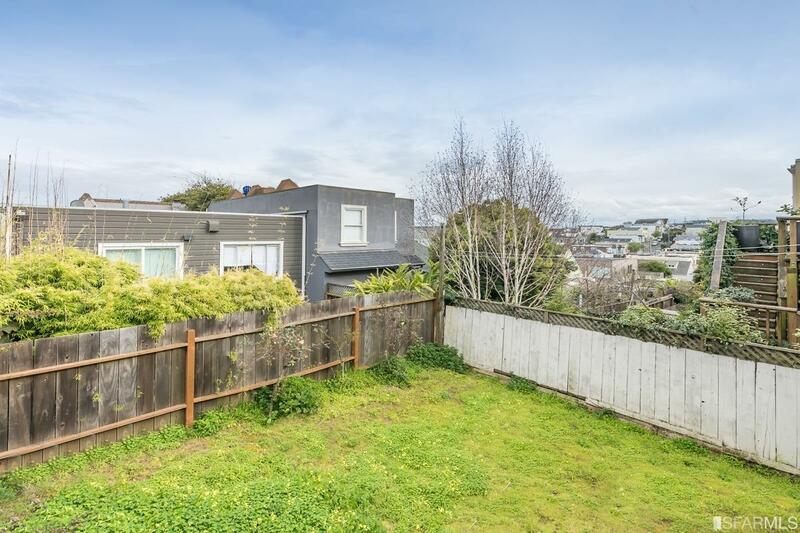 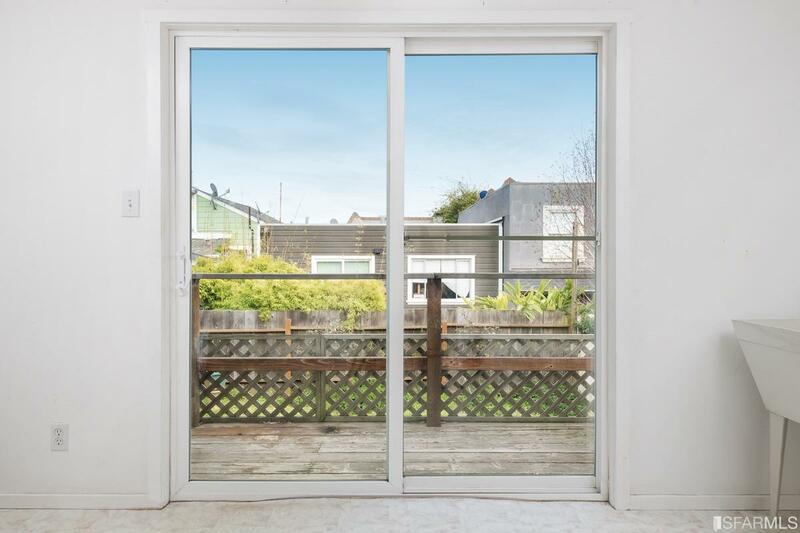 119 Banks St is a 1 bedroom, 1 bathroom single family home fixer-upper located in Bernal Heights north of Cortland Ave. A head-height partial basement & full attic provide expansion possibilities. 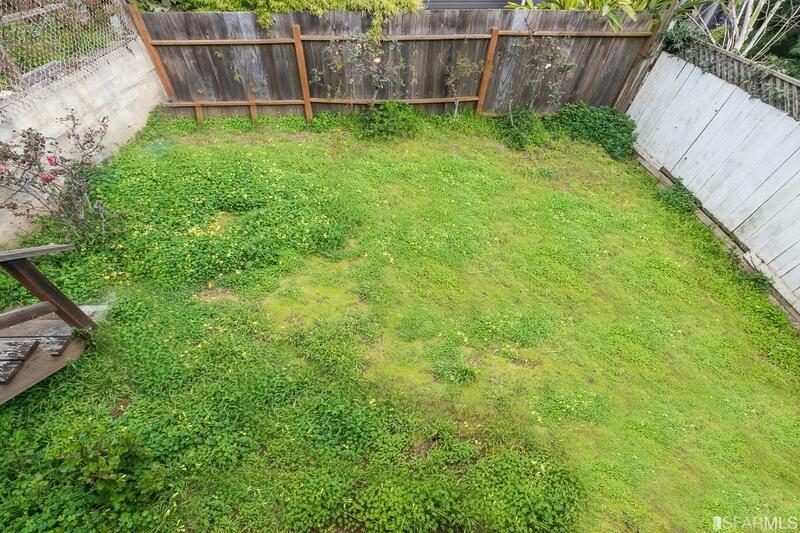 It is on a gently sloping lot w/ a flat back yard facing East. 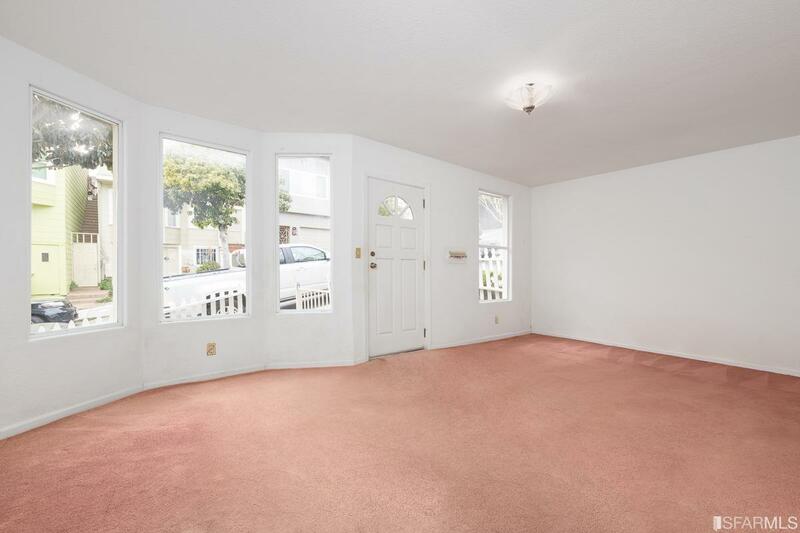 The living room spans the front of the home. 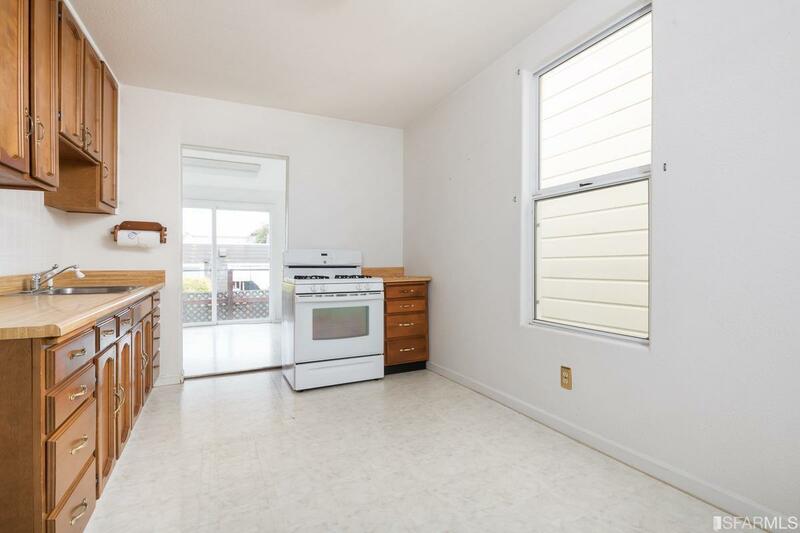 The adjacent kitchen is large enough to eat in, and gets natural light from a sunroom that could also be used as an office or breakfast room. 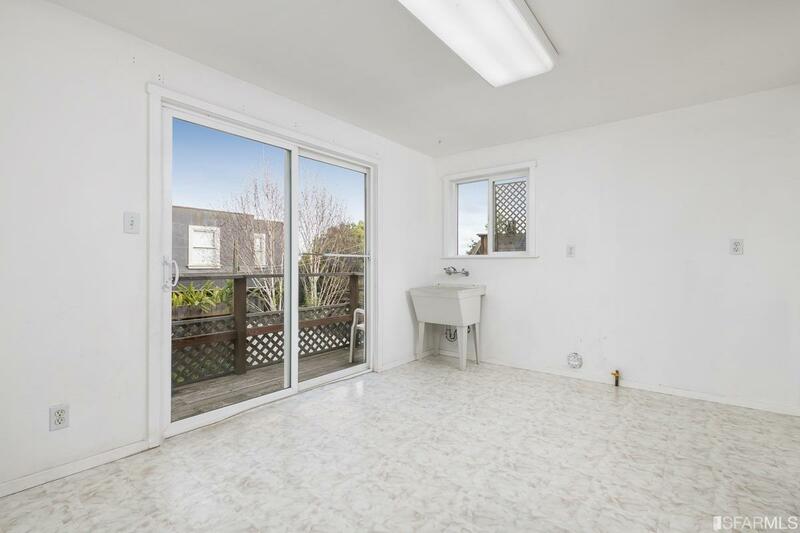 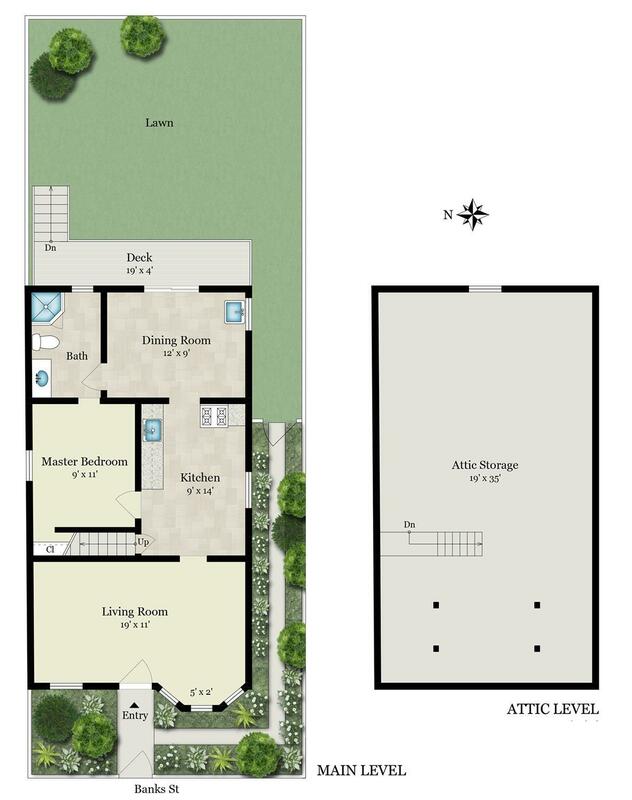 The sunroom opens onto a deck & a level back garden beyond. 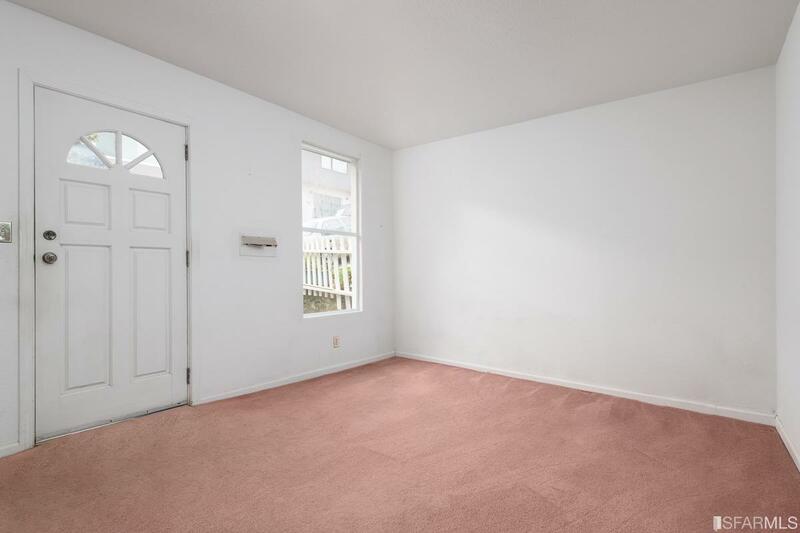 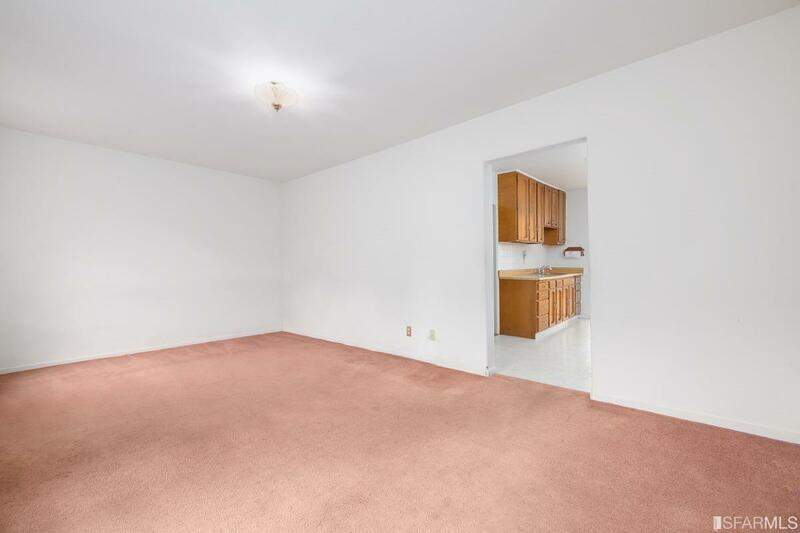 The bedroom has a window and a walk-in closet. 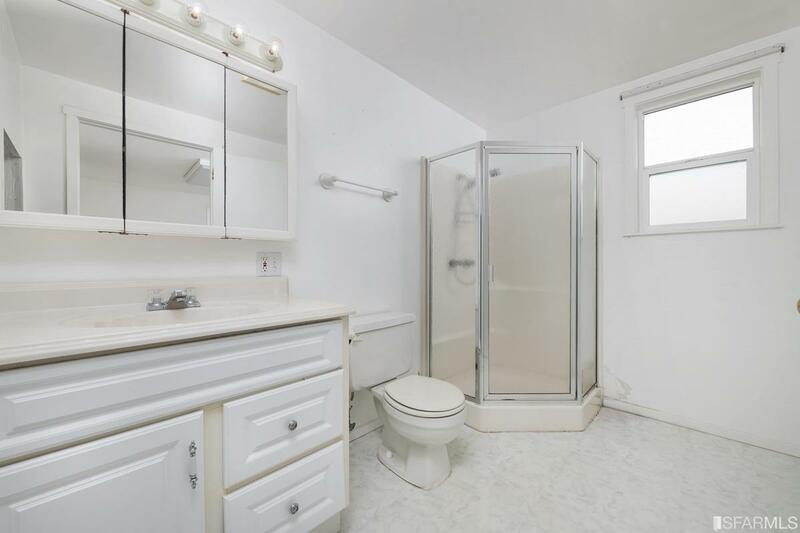 The full bathroom gets plenty of natural light. 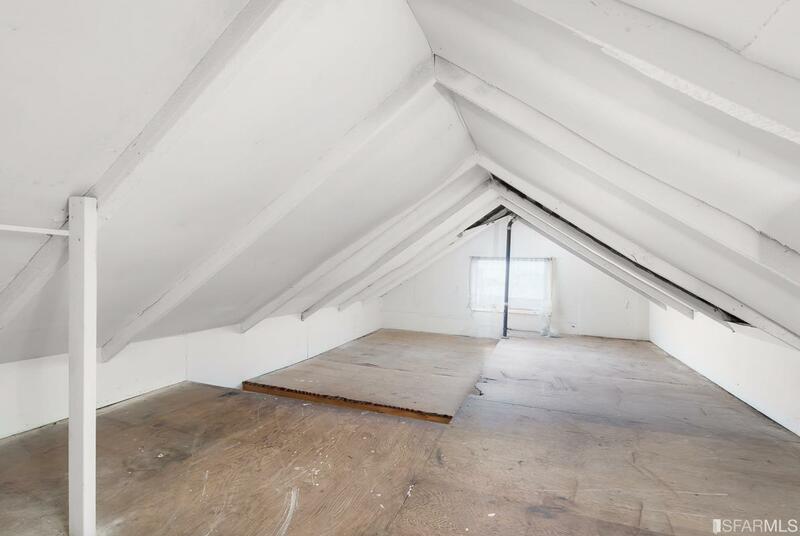 This home also has an attic accessible via a stairway. 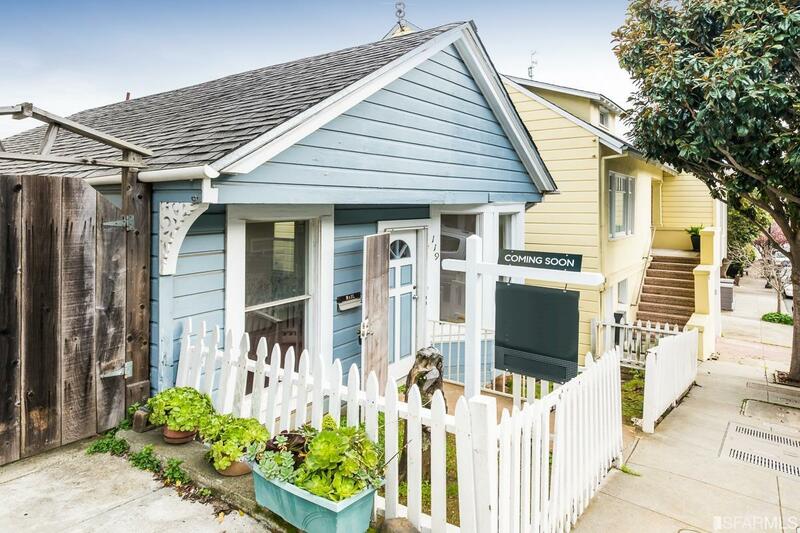 It is close to Cortland Ave w/ stores & restaurants & has easy commuter access to Silicon Valley, downtown, & the East Bay. 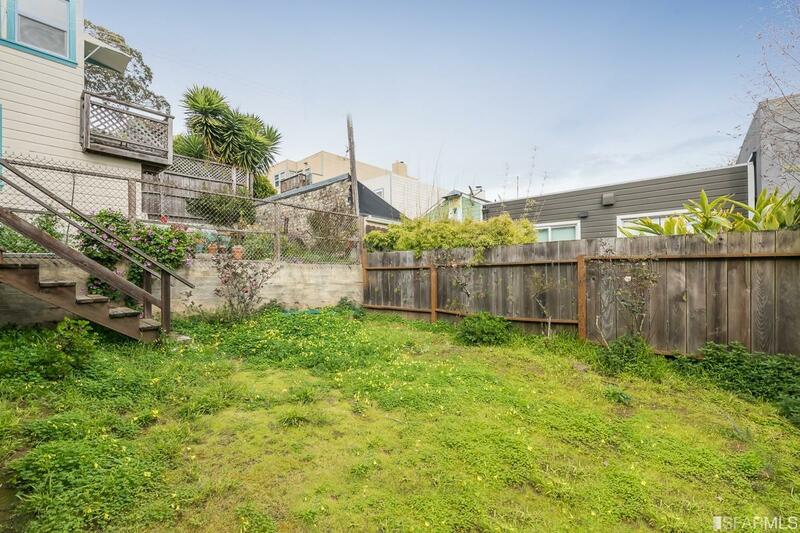 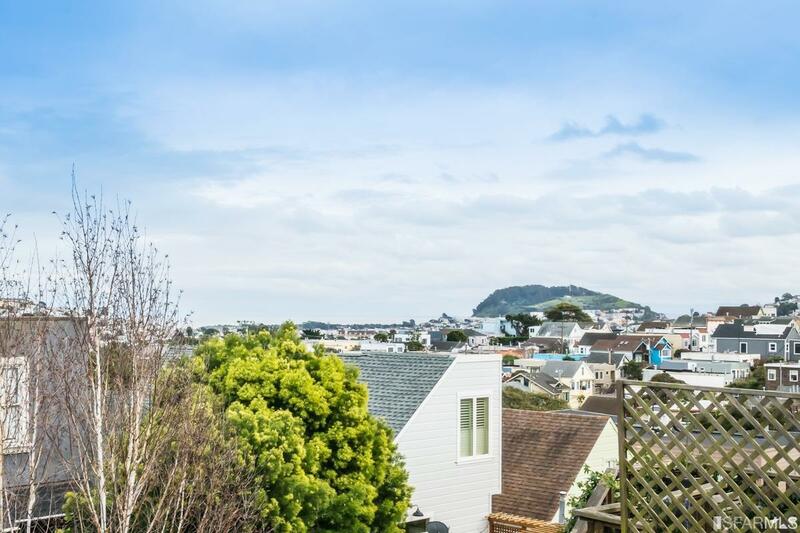 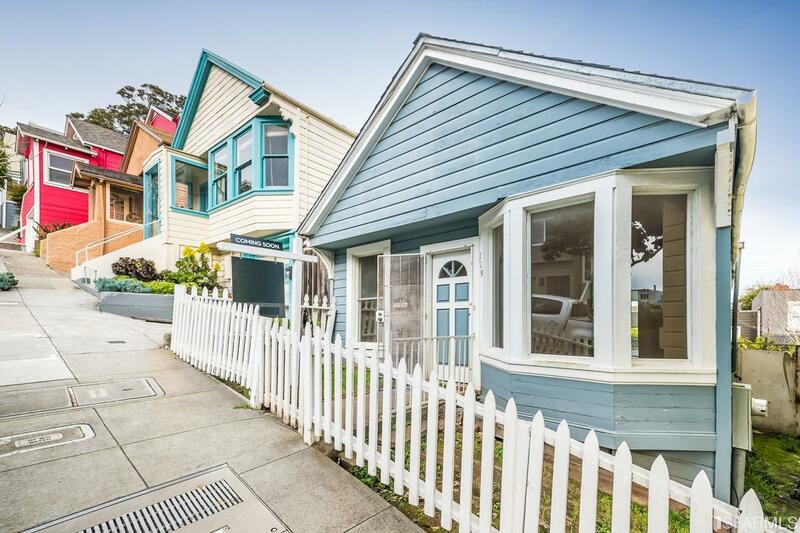 You will love 119 Banks Street for its Bernal Heights location and upside potential.